The Minnesota Twins head to U.S. Cellular Field on Wednesday, August 23, 2017 to take on the Chicago White Sox. The expected starting pitchers are Ervin Santana for the Twins and James Shields for the White Sox. The odds for this matchup have Minnesota at -165 and Chicago at +155. The Twins have a 56-59-9 over/under mark and a 64-60-0 run line record. The White Sox are 64-59-0 against the run line and have a 60-58-5 over/under record. The Twins have a 64-60 overall record this season. Starting pitcher Ervin Santana has a 13-7 record with an earned run average of 3.33 and a WHIP of 1.15. He has 131 strikeouts over his 162.1 innings pitched and he's given up 133 hits. He allows 7.4 hits per 9 innings and he has a FIP of 4.71. The bullpen has an earned run average of 4.56 and they have given up 444 base hits on the year. Teams are hitting .260 against the bullpen and they've struck out 365 hitters and walked 139 batters. As a team, Minnesota allows 9.4 hits per nine innings while striking out 7.2 batters per nine innings. They are 23rd in the league in team earned run average at 4.72. The Twins pitchers collectively have given up 1,151 base hits and 579 earned runs. They have allowed 181 home runs this season, ranking them 5th in the league. Minnesota as a pitching staff has walked 384 batters and struck out 878. They have walked 3.1 men per 9 innings while striking out 7.2 per 9. They have a team WHIP of 1.39 and their FIP as a unit is 4.87. As a team Minnesota is hitting .257, good for 14th in the league. The Twins hold a .420 team slugging percentage and an on-base percentage of .333, which is good for 9th in baseball. They rank 13th in MLB with 8.8 hits per game. Eddie Rosario is hitting .300 with an on-base percentage of .340. He has 120 hits this season in 400 at bats with 51 runs batted in. He has a slugging percentage of .505 and an OPS+ of 122. Brian Dozier is hitting .264 this year and he has an on-base percentage of .348. He has totaled 126 hits and he has driven in 71 men in 478 at bats. His OPS+ is 120 while his slugging percentage is at .487. 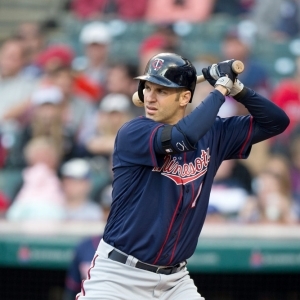 The Twins have 1,089 hits, including 217 doubles and 148 home runs. Minnesota has walked 464 times so far this season and they have struck out 1,036 times as a unit. They have left 896 men on base and have a team OPS of .753. They score 4.79 runs per contest and have scored a total of 594 runs this year. Chicago has a 48-75 overall mark this year. With an earned run average of 5.72, James Shields has a 2-4 record and a 1.57 WHIP. He has 64 strikeouts over the 74 innings he's pitched. He's also given up 81 hits. He allows 9.9 hits per nine innings and his FIP stands at 6.28. The bullpen has an earned run average of 4.38 and they have given up 392 base hits on the year. Teams are hitting .243 against the White Sox bullpen. Their relievers have struck out 419 batters and walked 190 opposing hitters. As a team, Chicago allows 9 hits per nine innings while striking out 7.8 batters per nine innings. They are 27th in the league in team earned run average at 4.87. The White Sox pitchers as a team have surrendered 1,084 base knocks and 584 earned runs this season. They have given up 188 home runs this year, which ranks 4th in Major League Baseball. Chicago as a staff has walked 493 hitters and struck out 938 batters. They give up a walk 4.1 times per 9 innings while they strike out 7.8 per 9. Their team WHIP is 1.46 while their FIP as a staff is 5.17. As a team, they are batting .256, good for 15th in the league. The White Sox hold a .416 team slugging percentage and an on-base percentage of .314, which is good for 24th in baseball. They rank 16th in MLB with 8.7 hits per contest. Tim Anderson comes into this matchup batting .242 with an OBP of .263. He has 107 hits this year along with 41 RBI in 443 AB's. He maintains a slugging percentage of .388 with an OPS+ of 73. Jose Abreu is hitting .299 this season and he has an OBP of .348. He has collected 147 hits in 491 at bats while driving in 77 runs. He has an OPS+ of 134 and a slugging percentage of .538. The White Sox as a unit have 1,071 base hits, including 192 doubles and 142 homers. Chicago has walked 309 times this year and they have struck out on 1,030 occasions. They have had 798 men left on base and have an OPS of .730. They have scored 4.35 runs per game and totaled 535 runs this season. Who will win tonight's Twins/White Sox MLB game against the spread?